A shocking incident in a Presbyterian school in Nkwen village in Cameroon ended with armed men kidnapping at least 78 students and the school principal. The shocking and brazen kidnapping happened near Bamenda, the capital of the troubled English-speaking region. Governor Deben Tchoffo confirmed the incident. Making the rounds on social media now is a video purportedly of the kidnapped children. Men who call themselves Amba Boys are behind the posting. 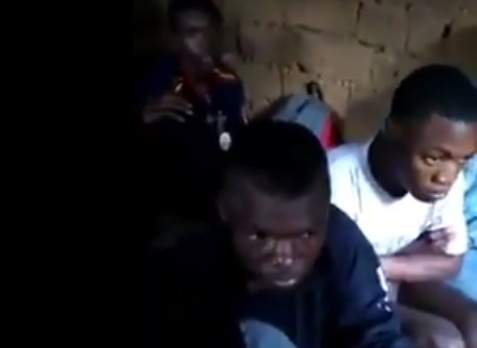 The video shows kidnappers forcing six of the children to give their names and their parents’ names. The children in the video say they were kidnapped late on Sunday and they don’t know where they are being held. Amba Boys is a reference to the Ambazonia state that armed separatists are trying to establish in Cameroon's northwest and southwest regions. Authorities and experts have yet to verify the authenticity of the video, but some parents have been reacting on social media saying they recognize their children in the said video. Violence between armed separatists and the military has increased recently since the government’s crackdown against protesters in the northwest and southwest regions who deplore the thought that as the English-speaking minority, they are marginalized by the French-speaking government. Just over the past year, hundreds have been killed in the English-speaking regions in Cameroon. The woes worsened as President Paul Biya easily won a seventh term last month. Biya has been leading since 1982. The U.S. says irregularities marked the election. the battle for Africa has begun. Xtians and Muslims are duking it out. now who to root for…. ?